Alex Mitchell is the youngest brother of The Mitchell Brothers sales duo, the happiest real estate consultant. 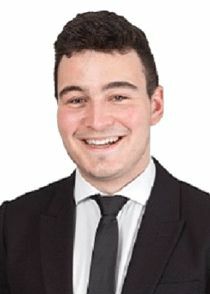 With over 4 years of industry experience and having sold over 50 properties in his first year as a Sales Consultant, Alex knows how to sell your home. The Mitchell Brothers have been consistent winners of Professional Marketing Awards. Striving to find the best buyer for their clients means constructing tailored marketing plans for each and every property- one size does not fit all! “The best Real Estate agents in Forrestfield are The Mitchell Brothers. Two for the price of one- an excellent team!” – Liz. M 139 Dawson Ave, Forrestfield. “Nick and Alex Mitchell are amazing. Was a great, quick result despite the current turmoil in the market. Alex and the team genuinely tried their hardest, their friendly nature made them a breeze to work with and we didn’t have to chase up a thing!” – Sara. W 43 Kookaburra Cr, High Wycombe. “We were very impressed with Alex’s service, he is very dedicated and went above and beyond to help us. We would not have a problem recommending The Mitchell Brothers to anyone thinking of selling or buying, they made the whole process very easy.” – Ben and Maddie, 29 Grenache Cr, Caversham. “Far Better than the rest” – Ron. D, 37A Westfield Rd, Camillo. If you need any help buying or selling real estate, why not give The Mitchell Brothers a call? We’d love the opportunity to prove to you our service is a cut above the rest.